The Louisville Dryer Company® brand name has been synonymous with rotary drying equipment for over a century. It is unclear exactly when the first rotary dryer was built here, possibly because no one thought about writing it down. We do know that Louisville brand dryers were being built for the local distilling industry in the late 19th Century. 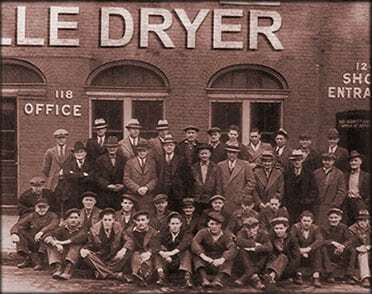 The very first Louisville Dryer Company® brand dryers we have documented were shipped under shop order #72, four rotary dryers that were shipped to a commercial distilling company in Terra Haute, Indiana, in February 1904. Five hundred thirty additional dryers were built between 1904 and 1923. 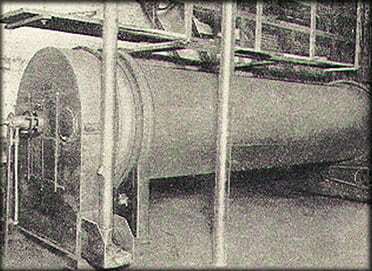 Between 1923 and 1945, an additional 955 dryers were designed and manufactured by the Louisville Dryer Company® brand. We believe the total number of Louisville Dryer Company® brand dryers to be in the excess of 2,500 units over the years. Our history speaks for itself. In addition to a strong lineage of manufacturing pros, today’s Louisville Dryer Company employees boast hundreds of years of combined experience in the mechanical design, process design, manufacture, application and service of industrial rotary processing equipment, especially dryers. Our engineering staff is qualified in a number of engineering disciplines and has extensive practical application experience.